Don't buy on impulse--save that for the Bentley Continental GT. Take your time, and order a car with a few bespoke personalizations so that you'll have a car that truly represents your worth and your personality. 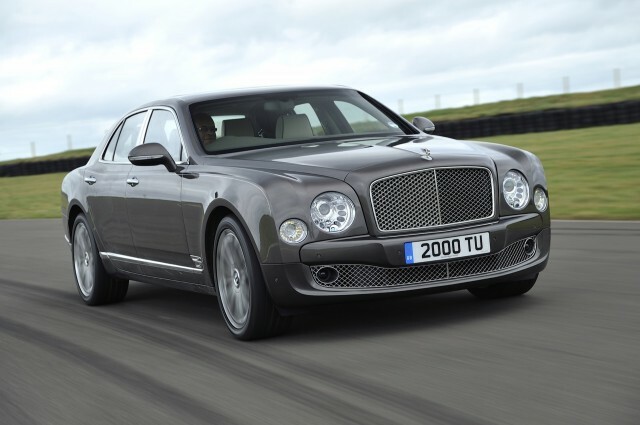 The 2015 Bentley Mulsanne is perhaps the best Bentley yet--and one of the world's most luxurious means of travel. The 2015 Bentley Mulsanne won't be confused for anything else on the road with its long, relatively tall, upright forms despite its graceful curves. The Mulsanne’s exterior styling is both conservative and dramatic. 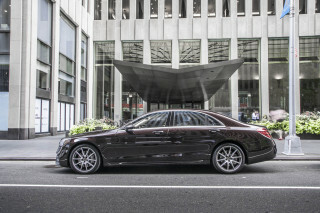 It is a hyper-luxurious sedan intended for corporate magnates, heads of state, A-list stars, and the super wealthy and flamboyant. Beyond that, the Mulsanne is a piece of automotive culture—a rolling museum, in a way—displaying the heritage and craft that birthed and bred some of the world’s finest automobiles over the past century and more. 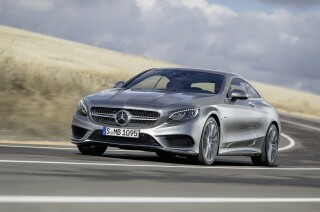 Under the hood lies a 6.75-liter (styled as a “six-and-three-quarter-liter) V-8 strengthened by a pair of turbochargers. The resulting output is prodigious: 505 hp, and 752 pound-feet of torque. The result is acceleration that’s breathtaking in such a large sedan: 5.1 seconds to 60 mph, 11.6 seconds to 100 mph, and a top speed of 184 mph. Don’t doubt for a minute that this is a large sedan, either. It’s 219.5 inches long (that’s 18.3 feet), 86.9 inches wide, 59.9 inches tall, and weighs 5,919 pounds. That size results in mass, and mass, in this case, is not the enemy. 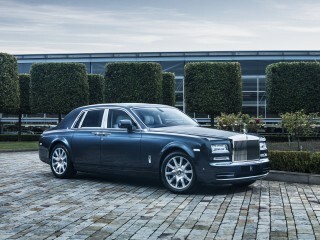 In fact, that considerable mass contributes directly to the regal comfort found in the Mulsanne’s cabin. Well, it’s a combination of the mass and the air-sprung, adaptively damped suspension. But whatever the cause, the cabin’s resulting spacious grace is undeniable. Luxurious leathers, fine woods, and hand-crafted metals abound in the touch points. The lavish attention to detail is obvious throughout the cabin, but most obvious in the places where you’ll come in contact with the car on a daily basis: where your hands rest, the buttons they push; the seats and headrests; the door pulls and switches. There’s no limit to the opulence, either, as Bentley will perform nearly any bespoke service a buyer could want—although the standard specification is quite nice, too. With 16 full cow hides used to provide the hand-selected leather that adorns the seats, console, door panels, parcel shelf, headliner, sun visors, and all interior stowage compartments, the scent of the Mulsanne’s cabin is already heady and redolent of the luxury of its materials—and that’s before you get to the hand-crafted wood and metal. Wood veneers include Burr Walnut, Dark-Stained Burr Walnut, Piano Black, and six other options. All switchgear in the center console and rear seat area is finished in glass—yes, glass—and even the trunk is trimmed in leather and carpet to match the cabin. Nothing has been overlooked—except perhaps the cabin ceiling-mounted switches, which are plastic and not quite up to the standard of the rest of the car. Of course, there’s also no end of features and equipment. The Mulliner Driving Specification, for example, brings 21-inch two-piece alloy wheels, a Sport setting for the air suspension and steering, “Flying B” wing vents, diamond-quilted leather for the doors and seats, and a range of bespoke hand-crafted interior touches, like knurled knobs and coined control finishes, plus drilled aluminum pedals. Infotainment and electronics include an 8-inch display controlled via the Central Multi Media Interface rotary controller; a 60 GB hard drive with 20 GB of space for music and more; a six-CD changer; a single DVD; two SD card readers; a unique tray for an iPhone (complete with the proper Lightning connector for iPhone 5/6); Naim audio with satellite radio; a telephone with Bluetooth wireless; and much more. A bottle cooler (for wine or champagne, naturally) as well as two flutes are available as a rear-seat option, as is a very large sunroof. An executive package adds reclining and massaging rear seats, iPad-based workstations, and more. Safety is obviously a concern for Bentley, with the Mulsanne playing host to some of the world’s wealthiest, but due to its high price, no safety agencies have crash-tested it. Nonetheless, the Mulsanne offers head and thorax airbags for both front and rear seats; driver and front passenger airbags; three-point seat belts with electric height adjustment, memory function, and pyrotechnic pre-tensioners, plus force limiters; ISOFIX child seat tethering; and more. Gas mileage, on the other hand, isn’t a great concern for Bentley, and the figures reflect that: the EPA rates the 2015 Mulsanne at 11 mpg city, 18 mpg highway, and 13 mpg combined. The Mulsanne represents the absolute pinnacle of the automobile as art. It's shape uses beautiful thick flowing c- pillars, and the car has muscular shoulders in the rear that project away from the cabin... The Mulsanne represents the absolute pinnacle of the automobile as art. It's shape uses beautiful thick flowing c- pillars, and the car has muscular shoulders in the rear that project away from the cabin greenhouse creating a sporting look, and a butch stance. The finish throughout is stunning. Everthing is leather, including even the inside of the glove box, the trunk, the rear view mirror and its mount, the ceiling, and even the dedicated phone charger drawer. The interior buttons are actually glass, and everything that looks like metal is metal, all hand polished stainless steel. The carpets are wool.